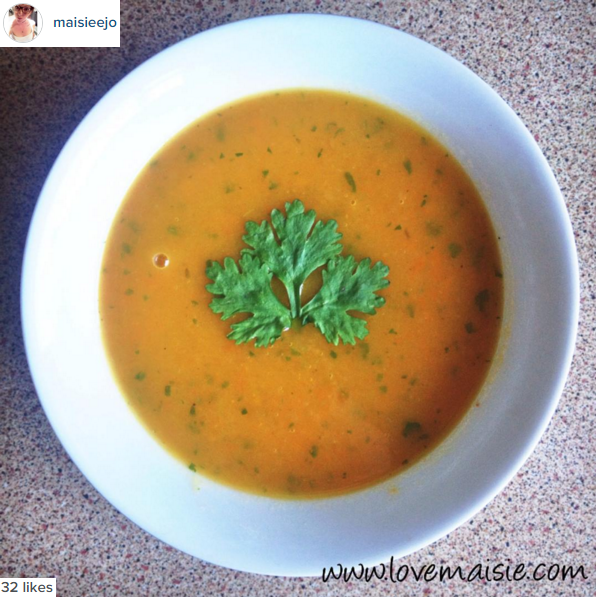 Sometime in October, I shared my vegan carrot and coriander soup recipe over on my Instagram and it racked up a total of 32 likes, which might not seem a lot to some, but I normally average somewhere between ten and fifteen likes on my photos, so I think it was safe to say that it went down pretty well! I absolutely love this soup and it’s so easy to make too! I know that coriander isn’t everyone’s cup of tea, but for those of you who are signed up to the fan club, I highly suggest that you try this out. Even better, it’s 100% vegan! Lightly fry your onions in your choice of oil for a couple of minutes, or until soft, and then add your potato, carrots and stock mixture and bring to the boil. Then, allow to cook for 20-25 minutes, or until the veg is soft. Add in the coriander, a pinch of salt(optional: try garlic salt, mmm) and pepper, before transferring to a food processor or using a hand blender until smooth! And there you have it! This recipe is ridiculously easy to make and taste’s scrummy if I do say so myself! I’m no food buff, so I really couldn’t tell you anything about calories or fat content or any of that jazz, sorry! If you follow the instructions, you’ll make around 6 servings, but don’t worry, it’s freezable too! Will you be trying this recipe out? Let me know!